Melanie was born in Windsor, Ontario Canada but raised mostly in China, moving from Shanghai to Hong Kong to Taipei to Beijing. She speaks Mandarin, but can’t cook kung pao chicken to save her life. She currently splits her time between Beijing and Los Angeles, where she lives with her husband and daughter. 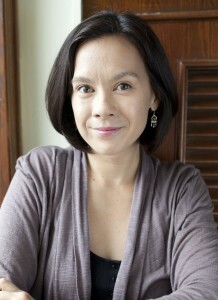 Melanie writes screenplays and narrative fiction, with a particular love for fantasy and historical fiction. She’s written screenplays for James Franco, Janet Yang (The Joy Luck Club), as well as a Subway Sandwiches web series, which won a student Emmy. She’s also an award winning film producer, and holds an MFA from the Peter Stark Program at the University of Southern California.